I have a 520 score. Can I refinance or ask for a loan? A FICO score of 500-520 is the minimum that will qualify for a mortgage. Top-tier FICO scores get low rates and more options. Borrowers with high FICO scores — the top tier ranges between 760 and 850 — can expect lenders to offer them lower interest rates and more loan choices. Lower scores usually place a borrower in the “subprime” category, and they can expect to be quoted significantly higher interest rates and may be offered fewer varieties of loans. A FICO score of about 500-520 is generally the minimum that will qualify for a mortgage. I will review each one in turn, and then help you understand how credit scores can impact your rate. This is calculation looking at how much you want to borrow, relative to the value of the home. It is directly impacted by the amount of money that you can put down on your new home. The larger the down payment, relative to the value of the home, the less risk the lender has to take in extending to you a loan. This ratio looks at your monthly debt obligations (payments of interest and principal) as a percentage of your monthly income. If you have a significant amount of debt, your debt service burden may be too high for a lender to comfortably give you a loan. You need to either increase your income, or cut your debts. Your loan, including terms like interest rate and points, will depend on your credit worthiness. One measure of credit quality is a credit score (sometimes a specific 'FICO' score). Your credit rating is calculated based on several variables, including: your payment history (do you have any late payments, charge-offs, etc. ), the amount and type of debt that you owe, if you have maxed out any of your trade lines, and then several other secondary factors like the length of your credit history and how many recent inquiries have been made to look at your credit history. If you have a good credit score, you will get a better loan. As you can see, with your current score of 520 you could be charged about 9.58%. It is vital that you understand your whole credit profile, not just your score. Score alone is not the end all be all to mortgage qualification. Other offsetting factors can balance a low credit score, such as a large down payment, large cash reserves or an overall low debt to income ratio. I encourage you to visit the Bills.com Mortgage Resources where you can read about the various types of mortgages available on the market and determine what type of loan you are interested in borrowing. If you enter your contact information in the Bills.com Savings Center at the top of the page, we can have several pre-screened mortgage brokers contact you to discuss the options available to you. Bills.com also has useful tips on tracking and improving your credit. I hope the information I have provided helps you Find. Learn. Save! I couldn't find an updated table on the Fair Isaac's consumer Web site that shows how your FICO score can affect your interest rate. Can you help me please? I need help refiancing my home to get my ex off the mortgage. My credit is bad.Is there a mortgage where I can refiance my mortgage and do bill consolidation all at once.I have to pay my mortgage by the 20th of every month or my ex gets to put the house up for sale and I don't want that.If there is such a morgage can you point me in the right direction. The second sentence in your message, "My credit is bad," gives me pause. How bad is bad? What is your FICO score today? If it is 580 or above, you may qualify for an FHA refinance or short refinance. You will have to meet debt-to-income requirements, as well as credit requirements to qualify. If your score is below 580, you need to take steps to improve your credit score. You are asking me to speak for your lender, and have given me very little information upon which to base an answer, but I will try anyway. My guess is that your debt-to-income ratio is too high. Your credit score, as lofty as yours is, is only one part of the equation. You might wish to shop around to determine if other lenders will look at your finances differently. Go to the Bills.com mortgage savings center to get quotes from up to four pre-screened lenders. Hello, We have a difficult situation where we are having a hard time refinancing our baloon loan, too. Our credit just dropped in the past months to 520, while we kept it above 740 for years. Our income is back up and expected to grow, LTV is 48%, value confirmed by a recent bank appointed appraisal. We've never been late on the mortgage payments! We want to refinance with the same bank. Why are we facing such a hard time?! I cannot imagine them foreclosing on us, while we always paid on time and have such a high equity. There has to be a product that would allow us to refinance, right?! You will find it difficult to refinance with a 520 credit score. You are also limiting yourself by insisting on staying with your same bank or mortgage servicer. Work on improving your credit score, and go loan shopping. See the Bills.com refinance calculator to get quotes from other lenders. I have been turned down a refi on a loan at about 6.57 % for approx. 300K on a second home because I am short about $800 a month in income. My credit score is about 850 and I have another home completely paid off that is worth about 150K and a decent amount of savings. Our income is now about 45k/yr. I dont understand if I have been making the higher payments for over three years why I cant re-fi? A loan may not be your best choice. 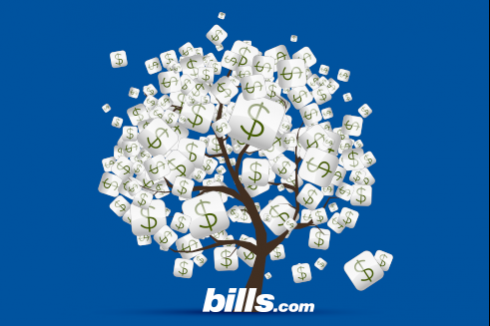 See the Bills.com resource What are my debt resolution options to understand all of the choices available to you.